This is a reminder that there is NO SCHOOL on Thursday (4/18), Friday (4/19), and Monday (4/22) due to Spring Break. School will resume Tuesday (4/23). What a great day for a track meet! FCJHS track meet today at 4:00 PM! This is a reminder that tomorrow, Friday, April 12th is a half day for School Improvement. We will dismiss at 12:18 p.m.
Due to weather, the track meet in Peoria Heights scheduled for this evening (4/10) has been canceled. Due to the lack of interest in the 3 on 3 for this Saturday, the event has been moved to Friday, April 19th, at 4 pm. We are going to add a 3 point shooting and skills competition for the athletes to participate in as well. All of the proceeds will still go to St. Jude in support of Ryder Armstrong. If you are currently signed up and are not available to play that date, please email Coach Otto. Anyone who has already paid can have their money refunded or use toward the April 19th date. Freshman Orientation is this Thursday night (March 21st) at FCHS beginning at 6:00. All 8th grade students are invited to attend. P/T Conferences will be on Thursday (March 21) from 5:00 - 8:00. Please call the school at (309) 245-1000 x2 to set up your appointment. School will dismiss at 2:12. There will be NO SCHOOL on Friday March 22. This Wednesday, 3/20, Farmington Public Library will be closed until 4 p.m. for staff training. There are no after-school library programs on Wednesdays, just a heads up for those who may wish to visit the library after school is dismissed! 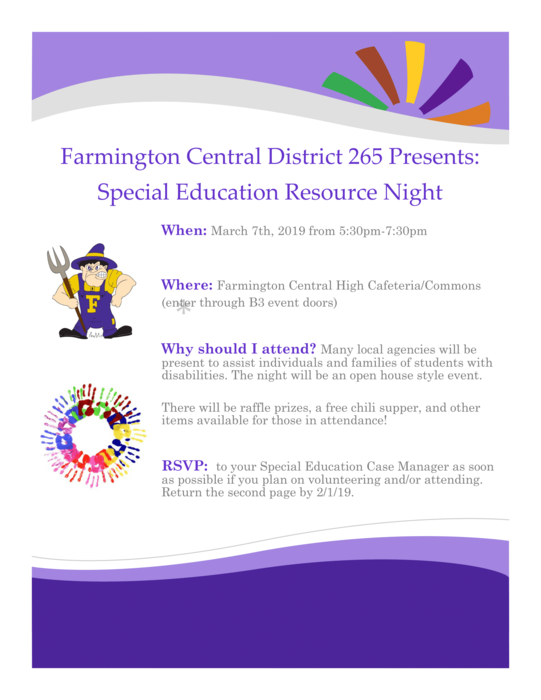 Please see the attached flyer for information on the Special Education Resource Night this Thursday, 3/7 from 5:30-7:30 in the high school cafeteria. The goal of this event is to raise awareness of the community resources available to families and students with disabilities. 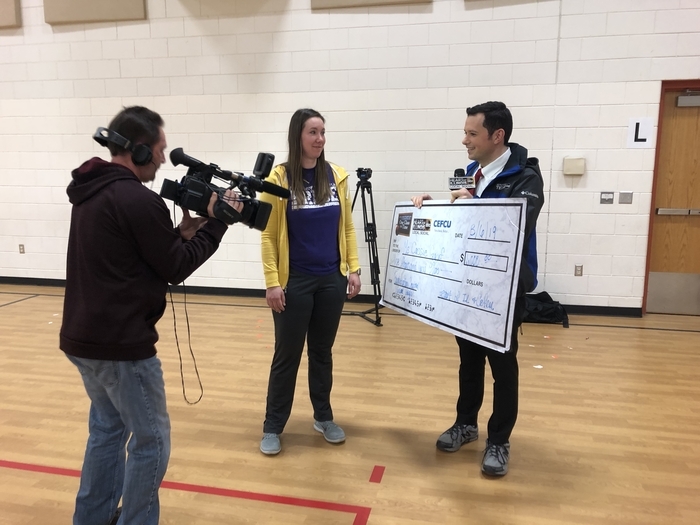 Mrs. Gauf was selected by WHOI to receive the One Classroom At A Time” grant! Congratulations Mrs. Gauf!!! Just a reminder...There will be NO SCHOOL on Monday February 18th in observance of President's Day! Enjoy your three day weekend! (2/12) Tonight's Jr. High Volleyball game vs. St. Vincent's has been postponed due to inclement weather. Farmington 265 schools are on a two hour delay today! School doors will open at 9:30 and there will be no breakfast option this morning. Stay safe! The volleyball scheduled for today (2/5/19) has been postponed until tomorrow (2/6/19). Game time tomorrow will be 5:00 PM. Farmington Central Schools will be closed on Thursday Jan. 31 due to extreme weather conditions. Stay warm! Farmington Central Schools will be closed tomorrow, Jan. 30th. There are no after school activities tonight or tomorrow. This includes girls volleyball vs. Brimfield and the 8th Grade Boys Regional Basketball game at Chillicothe. Stay warm and stay safe! Farmington Dist. 265 schools will be running a two hour delay today (Tues. 1/29). Doors will open at 9:30 am and no breakfast will be served. The boys regional basketball game at Chillicothe and the volleyball game at Midwest Central have been canceled for this evening (1/28). There will also be no practice for either of these teams this evening. Farmington Dist. 265 schools will be running a two hour delay this morning (1/28). Doors open at 9:30 am. Tough loss last night for our 7th grade boys basketball team. They fell to Peoria Quest 42-40. Congrats to Coach Benson and the 7th grade boys for a great season. The boys regional basketball game at IB has been canceled for today. The boys will now play at 6:00 Monday night at IB. The Junior High basketball game scheduled for this evening (1/17/19) has been canceled. The junior high volleyball game scheduled for tonight (1/17/19) at Havana has been canceled. Congratulations to the FCJHS Cheerleaders and Coach Ellison for their award winning performance at the IESA State Cheerleading Competition this Saturday. The girls finished 2nd overall in small team cheer and 3rd overall in small team routine! Way to go ladies! As of 3:40 PM on 1/11, the IESA Cheerleading competition is still on as scheduled. Please continue to check the IESA (iesa.org) website for updates and performance times. The boys basketball game vs. Lewistown tomorrow (1/12/19) has been canceled due to the weather. The Boy Scouts from Farmington are hosting a scout skills event on Tuesday, January 15th at 3:15 in the high school lunch room. They will be teaching knots and lashings and demonstrating scout skills to all members of the school. Good luck to our girls volleyball teams as they begin their season at home this afternoon with games against Dunlap Valley beginning at 4:15. Congratulations to our Junior High Cheerleading Squad for placing fourth at the ICCA State Competition in Springfield yesterday. Way to go ladies! Due to a scheduling conflict, the boys basketball game vs. Wethersfield scheduled for Thursday Jan. 3rd has been canceled. Don't forget! Today and Tomorrow (12/20 and 12/21) we will have 2:12 early dismissal. Due to a mechanical issue at B-PC Jr. High, the boys basketball game tonight has been canceled. Possible makeup date will be announced at a later date. The JH Boys Basketball game at Bushnell-PC scheduled for today has been rescheduled for Wed, Nov. 28 at BPC JH at 6:00PM. Tonight's boys basketball game against Bushnell-PC has been canceled. A rescheduled date has yet to be determined. https://www.centralillinoisproud.com/news/local-news/-unity-day-hopes-to-put-an-end-to-bullying/1546895995 This is the link to WEEK's coverage of the Unity Walk today! Congratulations to the September All-Stars! 6th Grade - Zach S. 7th Grade - Shayleigh T. 8th Grade - Lilly P.
The phones are back! The phones are back! Call us at (309) 245-1000 x2! Sorry for the inconvenience. Good luck to 6th grade Cross Country runner Jake Martin as he represents Farmington at the IESA State Cross Country Meet in Normal tomorrow. First home game tonight for our 7/8 Girls' Basketball team! 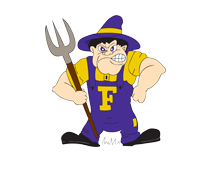 Come out and support the Lady Farmers as they take on Lewistown tonight at 5:00 PM. The girls basketball game scheduled for Thursday Oct. 4th against Mossville is canceled. Good luck to our 7/8 Girls' Basketball teams as they tip off their season tonight in Galesburg. Game time is 5:00 PM. Did you know that in the US, 70% of students say they have witnessed bullying in their schools? 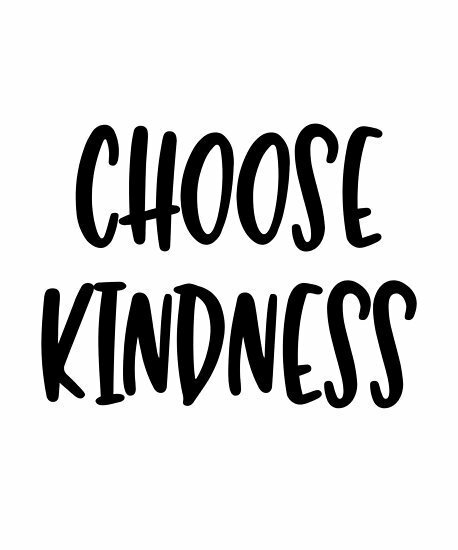 On Monday, October 1st, we are asking Farmington students to wear blue to show unity and to stand up to bullying! Just received this message from the Farmington JFL (8/27/18) JFL Cheer will only practice 1 hour (6-7pm). JFL practice for tonight's tackle practice will be light - helmets only, NO PADS! The baseball game for tomorrow (Aug. 28th) is in Abingdon. I believe communication went home saying it was a home game. Sorry for the error! Jr. High Softball game for today has been postponed. They will try again tomorrow afternoon! Picture day for the Jr. High is tomorrow (Tuesday August 21st). Envelopes are being sent home with your student today! 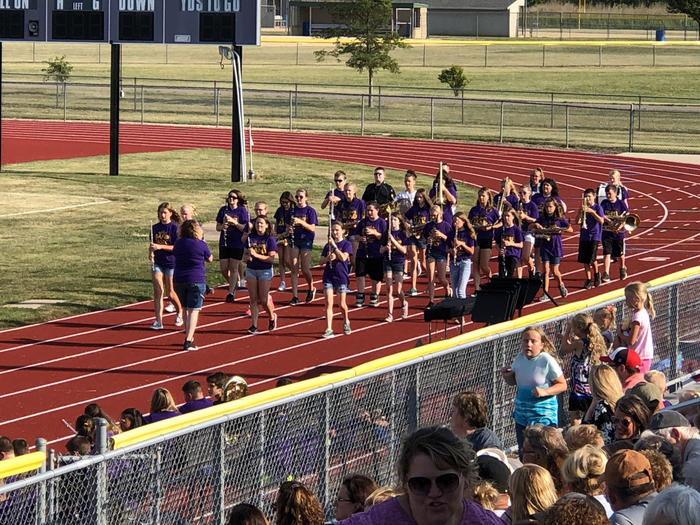 Band preview night tonight! 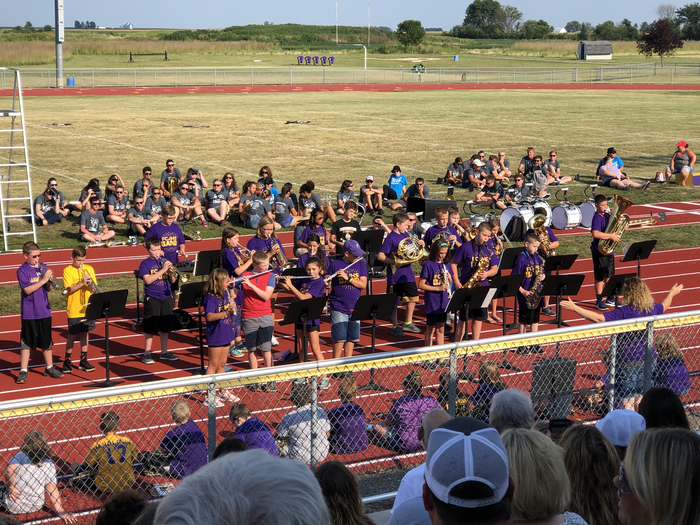 Here is our 6th grade band in action! They sound great! Schedules have been released on Skyward! Log in to see your schedule for the 18-19 school year! Just a reminder that the Jr. High is hosting a New Family Informational Meeting on Wednesday August 8th at 6:00 PM in the Auditorium. This informational meeting is for parents of students who are new to our Jr. High School. Good luck to our Girls Softball team as they travel to Tremont this afternoon for a game beginning at 4:00 PM! Are you the a parent of a 6th grade student? Are you new to the Jr. High School? The Jr. High is hosting a New Family Informational Meeting on Wednesday August 8th at 6:00 PM in the Auditorium.